Sword Company officially opened its doors in 1964 when W.E. Sword decided to use his entrepreneurial skills and left Peden Iron Steel Company in Houston where he began his hardware career to go into business for himself. He and his wife Beverly Sword began W.E. Sword Company out of their house on Clubview Drive in Tyler, TX. W.E. and Beverly are both Tyler natives and went to John Tyler high school. W.E. went on to get his business degree from Tyler Commercial College while Beverly got her Associate of Arts degree from Columbia College. W.E.’s business experience and Beverly’s bookkeeping skills were a perfect combination to start a building materials company in a thriving and established town. They began working with local architects and contractors and supplying material around the Tyler area. They worked out of their house at the beginning and used the garage for warehouse space. In 1968 W.E. Sword built the building on South Broadway which housed the company until December of 2015. Sword Company has since moved to our current Hwy 69 South location. Michael began working at Sword Company when he was in junior high keying locks in his house on Clubview Drive in Tyler. He continued to learn the business in high school by delivering jobs, shipping and receiving, and setting up master key systems. He graduated from the University of Texas in 1974 and began working full time for W.E. Sword Company in 1975. Michael Sword purchased W.E. Sword Company in 2001 and continues to be a daily part of the company which was simply renamed Sword Company. Sword Company continues to be a family affair as his oldest son Ryan Sword joined the company in 2007 after graduating from Texas A&M in 2005. Since 1964 W.E. Sword Company has prided itself on being a customer service based company and continues to hold the same values today that it did in 1964 when the doors were first opened. Michaels youngest son Aaron also joined the company in 2015. Cornerstone Custom Cabinetry strives to produce beautifully hand-crafted cabinetry with integrity and personal attention to detail. Every cabinet is built to your exact specifications -- color, door style, type of wood, finish, and construction. Owned and operated by Allen and Cheryl Johnson, their cabinet shop is located 12 miles west of Nacogdoches, Texas in the East Texas Piney Woods Region. Kitchen and bath projects begin with a personal visit to your location to acquire precise measurements. Cabinet Vision computer software is used to design and create true three-dimensional presentations and produce black-line drawings to submit with your bid. Full-extension drawer guides and concealed hinges are included. 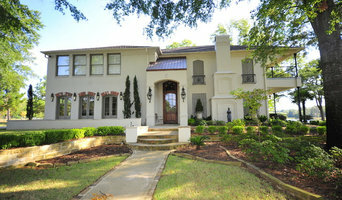 Revitalize your home from top to bottom with the help of Patterson Manufacturing Co. Since 1978, we have provided exceptional carpentry, remodeling, custom cabinetry, and new construction to Longview, Texas and the surrounding 100 miles. Work with the craftsmen who put you first. Our family owned and operated local business takes the time to listen to your requirements. We complete our work quickly and professionally. Better Business Bureau accredited. Visit our showroom in Longview. Monday - Friday 7AM - 4PM. Closed Saturday & Sunday. You are unique, and so are your storage needs. At Tyler Custom Closets, we don’t believe “one size fits all” when it comes to home organization. We take a truly customized approach, working hand-in-hand with you to design a product that’s unique to your home. Whether you need to redesign your walk-in closet, update your kitchen and bathroom, maximize efficiency in your garage, or create a multi-functional guest room, our expert custom closet and garage designers have the skill and creativity to bring your vision to life. With a wide array of the finest materials, finishes, upgrades, and accessories, we offer hundreds of ways to help you get the most out of every inch of your home with a beautiful, functional custom design that enhances your personal style while conforming to your budget and adding value to your home. Best of all, our wood products are backed by a lifetime warranty – a commitment to quality that extends far beyond the completion of your project. If you’re ready to “Simplify – Organize – Enjoy” get started today by scheduling a free in-home consultation. With over 35 years of expertise in cabinetry manufacturing, we invite you to experience true artisan quality and craftsmanship. 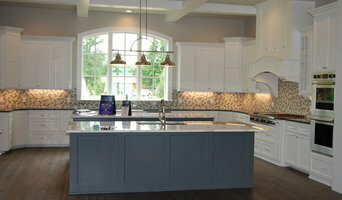 We integrate our industry knowledge with your dreams to come up with the perfect layout for your new home or remodel. Since 1979 Texas Wood Mill Cabinets has stood behind and guaranteed our work for you! Pinnacle Cabinets & Millwork LLC. 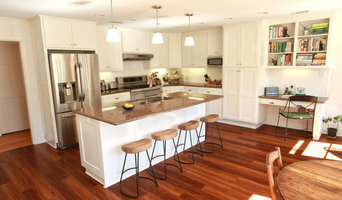 specializes in designing, building and installing quality custom cabinetry and butcher block counter tops. Whether you are building new or remodeling we can accommodate most needs in your home including: Kitchen, Bathroom, Laundry, Office, Bar, Entertainment, Fireplace & Garage spaces. Each member of our staff, from our designers to our skilled craftsmen, have committed to the philosophy and practice of building fine cabinetry. We take pride in our work and strive for excellence in customer satisfaction. Given the multipurpose nature of the kitchen, many homeowners think that you have to forsake flair for functionality when it comes time to design a cooking and entertaining space. Luckily, custom kitchen cabinet professionals in Tyler, TX can create a practical yet personalized space that is unique to both your aesthetic style and empirical needs with custom kitchen cabinetry. 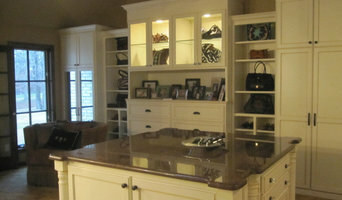 Find a Tyler, TX custom kitchen cabinetmaker right here on Houzz and start customizing cabinets just for you! Cabinets and cupboards are essential components of any successful kitchen layout. Whether you are considering a full renovation or a simple aesthetic refresh, custom kitchen cabinets have the benefit of being designed specifically for you in terms of both appearance and usability. When it comes to stock cabinetry, you are limited to cookie-cutter designs, dimensions and colors, which isn’t ideal for outfitting a uniquely shaped kitchen or for showcasing your personal style. Custom kitchen cabinets are solely crafted based on your specifications and needs, and while they are pricier than pre-made pieces, you’ll receive a higher level of craftsmanship and durability when you work with a professional who specializes in custom kitchen cabinets in Tyler, TX. Start an ideabook on Houzz and save examples of the types of kitchen cabinets you want — this will help your Tyler custom cabinetmaker get your design just right. Additionally, if you are undergoing a renovation, keep in mind that a kitchen blueprint needs to be finalized prior to any kind of cabinet building and installing; given the one-of-a-kind nature of custom kitchen cabinetry, room dimensions need to be completely finalized before any work can commence.